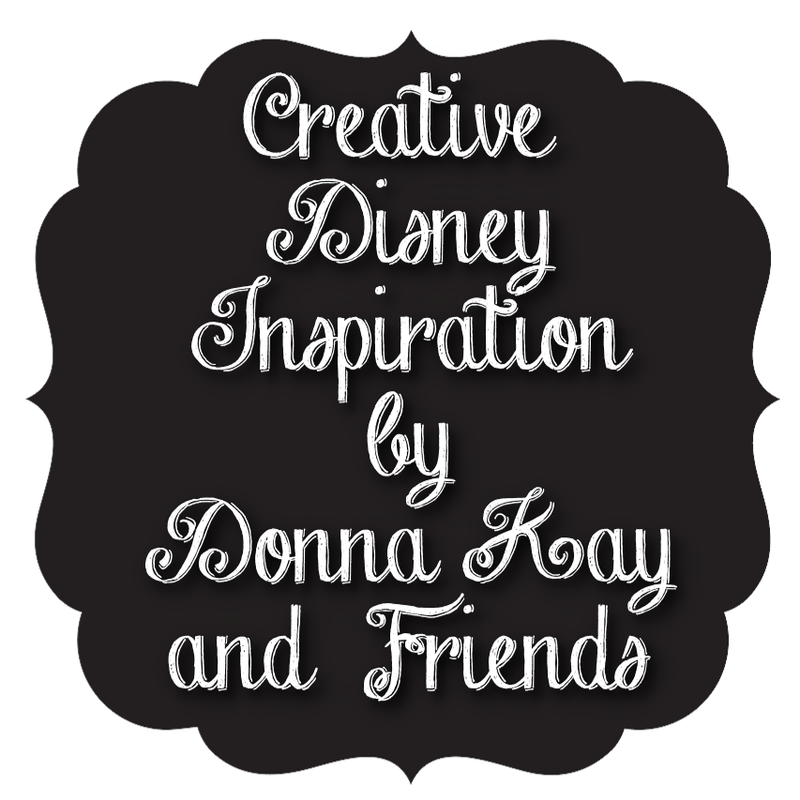 I love the way today's Creative Disney Inspiration turned out!! It is easy enough even a novice crafter could do it, it looks FABULOUS, but...it takes a lot of time a patience. Remember the Mickey Topiary my Mickey Mouse Clubhouse Party Board? The original poster has their site down for upgrades and I have a reader who needs to make one. So...here's my version with a tutorial. I added my 50th birthday tiara, I think it's the perfect accessory. I am recycling Styrofoam balls from another project, no need to paint them black. Step 2. Repeat the folding process making 750 for Mickey's Head and 125 X 2 for Mickey's Ears. Step 3. Push a straight pin through the coffee filter in the middle of your creased fold. My straight pins would bend so I (my hubby) used a corsage pin to make the hole and inserted the straight pin. Step 4. Pin the coffee filters to your large Styrofoam ball. I would pin in sets of 25-50. I started pinning at the top of the Styrofoam ball. Here's a top view of my first pin. I continued pinning in a circular motion until I got all but approximately 3" area of the ball covered. Like you see in the bottom view of the Ear below. Step 5. Using the coffee filters with the longer "foot" cover the two Ears using the same directions as the Head. Step 6. Insert a wooden skewer into each Ear making a hole, then remove them. Step 7. Insert the skewers into the Head at the approximate spot you want your ears. *I placed mine wide apart to make room for the tiara. Step 8. Mark the skewers approximate 2-1/4" above the coffee filters, remove them and cut where marked. Step 9. Fill the hole made in the Ear with hot glue and insert the cut skewer, repeat with the other Ear and allow to cool/dry. Bottom view on completed ear. Step 10. Insert completed Ears in to the Head. Step 11. Accessorize and admire your hard work. It literally took me a week to get all of the coffee filters folded and pinned. This is not a "finished in an hour" type of project. That being said the end product is AMAZING!! To display the topiary you can use a cake stand like the original Mickey Topiary, a candle stick or just place it on the table without a base. The completed topiary is approximately 10" in diameter by the way. Now, I know the one from the Mickey Mouse Clubhouse Party Board is red and you can't find red coffee filters. You can dye your filters with paint (see this tutorial) or food coloring and water (see this tutorial). Allow them to dry overnight. You can also cut circles out of tissue paper, these would look awesome but I cannot imagine cutting 1000 circles!! Besides, I really like my white Mickey topiary and white goes with everything - right?? 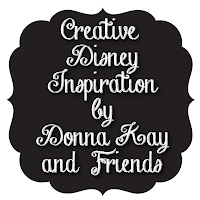 Hope you have enjoyed this 18th installment of Creative Disney Inspiration, as always if you make any of the projects please share them on the Disney Donna Kay Facebook page. I would love to see them!! By the way, if you are interested in purchasing one of these adorable Mickey Topiaries they are available in my Etsy store Magical Creations & Celebrations. OMG! That's beautiful! I wish I had the time and space to create something like that! I'd have to lock myself in my closet for a week to do that! :) I'm very impressed. Thanks Beth! I really like how it turned out. I forget what a luxury it is not having to worry about little ones grabbing pins and other things too. Still can't believe E is a year old already!! Thanks Diane! Google coffee filter crafts and there are LOTS of things out there, the flowers are especially pretty. Wow that is great! It turned out beautifully! You have much more patience than I! That is a lot of coffee filter pinning! Thanks Deb! Patience is definitely a virtue where this project was concerned. I normally like quick satisfaction and choose a simpler project. Sigh. I wish I were crafty. Mine would look like a "nailed it" meme. I literally LOL'd when I read your comment Hedy! I have tried some "cute & easy" party food that would have made the perfect meme. This one is truly easy just a huge time commitment. Who knew that coffee filters could look so darn cute!! And the tiara was a perfect touch. Wow! I know I already commented on Facebook, but this is simply amazing. I would never have the patience to create one, so I'm all the more enamored by yours! Wow that is awesome, but looks like more work than I am patient for :). I love that, Donna Kay! That is very impressive! Looking at it, you would never know that it is made of coffee filters!